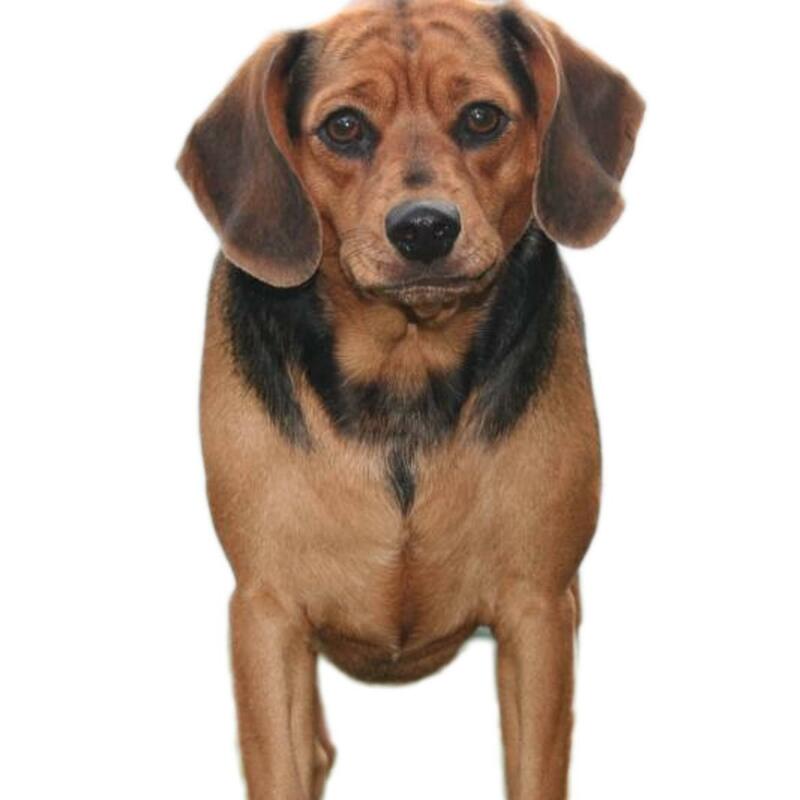 The Meagle is a hybrid breed of the Miniature Pinscher and the Beagle. This small breed does have some medical conditions that you need to be alerted to. Some of the conditions to keep an eye out for include eye problems, Legg-Calve-Perthe’s Disease, hypothyroidism, skin problems, patellar luxation, epilepsy, hip dysplasia, and dwarfism. As you search for your perfect Meagle puppy, make sure that you are checking out the breeders and also the pups they have available. It helps to sit down and find out what testing the breeder does on the parent breeds and pups to ensure healthy litters. Eye problems may show up in your Meagle and they can range from eye infections to dry eyes or even an eye allergy. If you notice that your pup may have an eye condition, make sure that you let your veterinarian know, so that your pup can receive the proper tests. Legg-Calve-Perthe’s Disease is a disease that is passed down from the parents of your puppy. This disease occurs when the head of the femur starts to degenerate. Your pup may experience bone and joint inflammation, which is painful. Hypothyroidism happens when there is a problem with the thyroid in your pup. This condition can be regulated with medication and is not fatal. When the thyroid is unable to work properly, your pup may become obese or have trouble gaining weight. Your Meagle may experience some skin problems, but they are usually minor. In fact, some of the most common skin problems include skin allergies, itchy skin, or dry skin. Patellar luxation or a knee dislocation occurs when your pups knee is moved out of place. This is painful for them, and you may notice that they do not use the affected leg much. Epilepsy is another concern in your Meagle. Your pup may experience seizures on occasion or they could have them very often. Typically, a seizure will involve convulsions and may or may not include loss of consciousness. A painful condition that your pup may have is hip dysplasia. This occurs when the hip joint is either deformed or does not fit into the socket correctly. The cartilage then wears down quickly and causes pain and pressure at the joint location. Lastly, dwarfism may occur in your Meagle and when it does, you will notice that your pup’s growth is stunted and abnormal. The Meagle has a life expectancy of 10 to 15 years. The Meagle is an energetic pup that is full of life and likes to play. You will find that this dog engages well with other pets and also children. When it comes to the exact temperament of your pup, you will either receive an even mix of the two breeds or a pup that has more of one personality from one breed than the other. 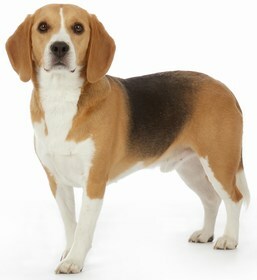 Therefore, if your pup has the personality of a Beagle, you will find that he or she is much more calm and laid back. 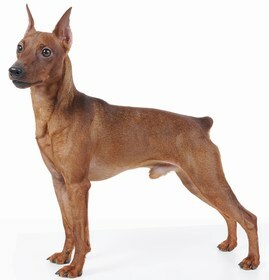 If your pup has the personality of the Miniature Pinscher, then he or she will be charismatic and quite independent. In fact, you may have to draw in the reigns a bit to ensure he or she does not get into trouble. Your will find that your Meagle is affectionate and loving with those in his or her household, but is not exactly welcoming of strangers. Your pup may become attached to a single person in the home, which means that he or she will follow them around and stick to them. Your Meagle may have a bit of an entertaining side to him or her, and when you laugh, your pup will continue to amuse you. 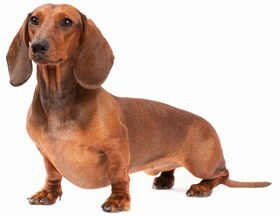 This breed does train relatively easily but is not any easier or harder than other breeds. Sometimes, you may notice that your pup likes to be a bit stubborn and you will need to remain calm and patient. When it comes to exercise, your Meagle does need to receive a walk of about 30 minutes per day. You will find that your pup is a bit active. If you have a backyard, your pup will enjoy the time outside and may even engage in some playtime. The Meagle is easy to take care of when it comes to grooming, and you will not have to do much to his or her coat. You should brush it a few times per week to remove loose hairs. Your pup does not need a bath on a regular basis, and you can often perform a dry bath or even wipe down your pup with a wet cloth. While a bath is not needed, you do need to make sure that you clean your pup’s ears once per week to remove any dirt and wax. Lastly, you should always keep your pup’s nails trimmed to ensure that they do not become overgrown. If overgrowth does occur, your pup will be in pain and may accidentally snag or rip the nail. Your Meagle will consume anywhere between 3/4 cup and 1 1/2 cups of dry food per day. You do want to make sure you choose a high-quality brand of dog food. You can feed your pup wet food, but make sure that you do not feed it to him or her as a regular part of their diet because most wet food does not provide much nutritional value. A Meagle puppy will cost you anywhere between $200 and $600. 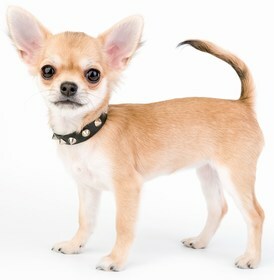 The cost of the puppy will be determined by the demand for the breed and also which breeder you choose. It is unlikely that you will find this pup in a local shelter. Ranking takes into account a few basic factors including cost, skill level needed, high vs low maintenance and how critical regular training is to success. The Meagle is an energetic ball of energy and will keep you on your toes. This pup does wind down and shows affection as well. You will not have too much trouble training your pup, but you may run into a stubborn streak now and again. This breed ranks a 1.